Thank you very much to the Sales guys who made upgrading my Stepway to a new one an absolute pleasure. Professional and friendly from start to finish, going the extra mile to get me the best deal. Many thanks. Initial payment of £173 inc. VAT followed by 48 monthly payments of £173 inc. VAT. Based on 6000* miles per annum. 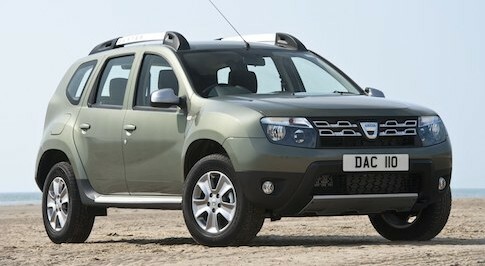 In the market for a new Dacia Duster? Browse our extensive range of Dacia Duster cars and find our latest deals at your local Bristol Street Motors Dacia dealership. It�s quite remarkable just how much car you get for your money with the Dacia Duster. When compared to its rivals in the crossover class, you stand to save yourself thousands of pounds for similar specifications and features. The Duster is on offer with both two wheel and four-wheel drive variants, depending on what you intend to use your Dacia Duster for. Each model also comes with a decent level of equipment as standard, in addition to a spacious cabin and sizable boot. Visit your local Bristol Street Motors Dacia dealership to learn more about the Duster and to find the right specification for your needs.